Madhouse Brewery is unlike any other in the area. Located in Des Moines, Iowa, they like to think of themselves as a unique brewery experience. 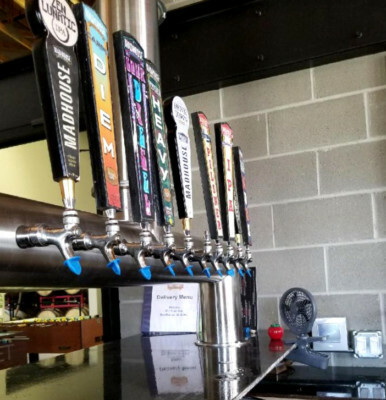 John Wilch, sales manager and distributor for Madhouse says the brewery “[is] the place where you will get something new every time you come in.” The name Madhouse was something Mason Groben, owner of the brewery, came up with. “It’s not really that good of a story behind the name … just something I liked and goes with our tagline, ‘crazy good beer’,” he says. Walking into the building, visitors are greeted by an open space with 10 beers on tap to choose from. Further into the brewery, barrels upon barrels of beer are being aged. The process of brewing these beers is something that Groben enjoys. According to the Madhouse website, Groben graduated from UC Davis in Viticulture (the study of grapes) and Enology (the study of wines). Groben has worked around the world at wineries and currently oversees brewery operations, including recipe production. “A lot of the work on the wine side is centered around the harvest, which is August, September, October,” Groben says. 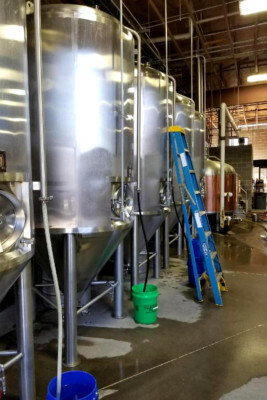 He decided to dive into the brewing business so he could stay extra busy during the off-season of wine—the popularity and fun nature of the industry is what sold him. When he transitioned into the brewing business, he took what he has learned about wine and incorporated that into his beer-making process. Wilch explains that the brewery is “more well known by the beer nerds, the ones who buy and trade beer. The common term is a whale-chaser. That means you go after a specialty rare beer.” The biggest concern for them is not to become the next Budweiser, but to create great beer that you won’t find anywhere else. “A whale is a highly sought after beer. That’s what we want to create,” Wilch says. While some breweries rely on their ‘flagships,’ the beer that is always on tap, Madhouse is forever changing. Wilch understands that “trends do change, and if you don’t want to be the dog chasing the car, you have to stay current.” That is exactly what Madhouse is doing. 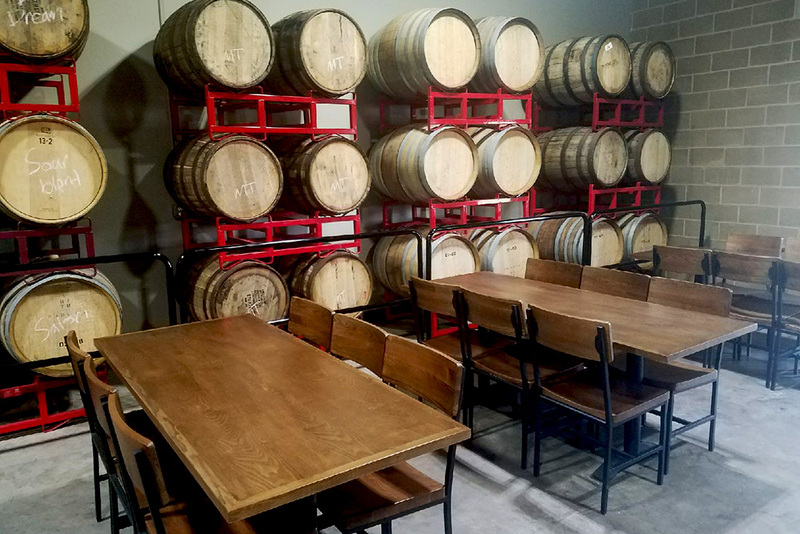 Madhouse is known for their sour beers that they age in whiskey and wine barrels. Groben’s family owns Jasper Winery, also located in Des Moines. The businesses support one another by selling each other’s wine and beer products at their respective establishments. The next big step for Groben and Wilch would be expanding the facility and having more space to brew. “We’ve been around longer than most breweries in the area, so we have already made the mistakes that the other guys are making now,” Groben says. Brewing is a trial and error business, and making mistakes is part of the process. With Groben’s past experience at the winery, he knows making mistakes are crucial in order to make the best product. The brewery’s latest project is working on a beer for Cinco de Mayo. The brew will be a combination of cinnamon, vanilla, chocolate, and chili pepper and is called El Jefe, meaning “the boss” in Spanish. They are also working on a beer called Space Jam, which is a new galaxy hop IPA that they are excited about. 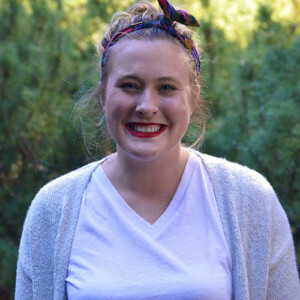 Victoria Davis, a regular Madhouse drinker and beer enthusiast explains that her favorite beer is definitely Blue Dream. “It’s a totally different kind of sour, it’s fruity and dark all at the same time,” she says. “I also love the Carpe Diem.” Madhouse’s website describes the Carpe Diem as a bourbon barrel-aged breakfast stout. Whether it’s sour or stout, Madhouse Brewery is creating beers all year round. They truly are a place that stays true to themselves by not focusing on being the biggest, but on being the best. They decided early on that they will never create beer they wouldn’t drink. They are continuing to brew and branch out to even more beer nerds everyday. By staying current and evolving with every brew, it’s a place to sit down and grab a cold one. Things I love: corgis, cats, and my pillow pet.